Posted on January 26, 2017 April 29, 2017 By John W. Moravec, Ph.D. NOTE: THIS EVENT HAS BEEN RESCHEDULED TO SUNDAY, APRIL 2! 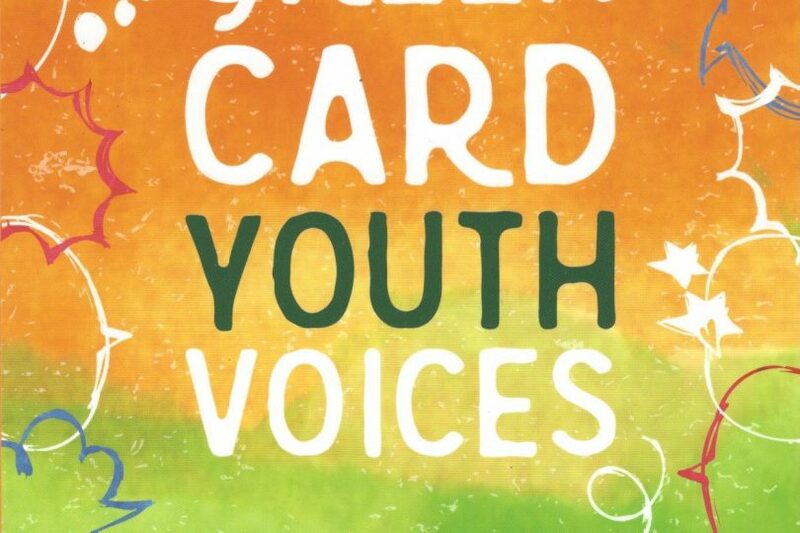 Join us for a Facebook discussion on Green Card Voice’s book, Green Card Youth Voices: Immigration Stories from a Minneapolis High School at 10am (U.S. Central/5pm European Central) on April 2, 2017. We will stream the chat live on our Facebook page: facebook.com/educationfutures. This book is a unique collection of thirty personal essays written by students from all-immigrant, Wellstone International High School. Coming from thirteen different countries, these youth share stories of family, school, change, and dreams. The broad range of experiences and the honesty with which these young people tell their stories is captured here with inspiring clarity. Their reasons for immigrating are vast, but a common thread unites them; despite tremendous tribulation, these young people continue to work toward the futures of which they dream. Includes: 30 personal essays, 30 color portraits, links to the students’ video narratives, study guide, glossary, with a foreword by Kao Kalia Yang, author of “The Latehomecomer: A Hmong Family Memoir”.